The New York Times Bestseller Updated With a New Introduction. 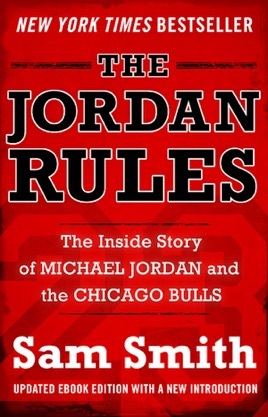 In The Jordan Rules: The Inside Story of Michael Jordan and the Chicago Bulls, former Chicago Tribune sports writer and current Bulls.com contributor Sam Smith chronicles the excitement and tension of the Chicago Bulls' first championship season, and presents a fascinating eyewitness account of Michael Jordan on and off the court. 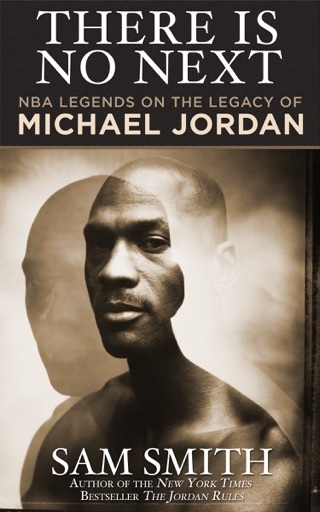 Updated with a new introduction by Smith describing his experiences covering the Bulls to capture the stories for the original book in 1992, and how the book came to be, The Jordan Rules will let readers in on Jordan’s power struggles with management, the players who competed with His Airness for Air Time, in their own words (Scottie Pippen, Horace Grant, Bill Cartwright), how Phil Jackson coached “Michael and the Jordanaires" to their first title, behind-the-scenes feuds, including Jordan punching a teammate in practice, and more. Relive the thrills of the first championship season of the Chicago Bulls, and get an inside look the incomparable Michael Jordan in The Jordan Rules. a typo on almost every page...what the hell? Fantastic firsthand account of the Chicago Bulls first championship run. Smith opens the story on the night of the Bulls' crushing defeat at the hands of the Bad Boys, the Detroit Pistons. Led by Isaiah Thomas, the Pistons boasted of having developed a series of secret defensive schemes stifled the seemingly unstoppable Michael Jordan; the Jordan Rules. But among his teammates, The Jordan Rules had another meaning; it meant that Jordan could do anything he wanted with little push back from the strict Bulls organization. Phil Jackson emerges as the true hero of the story after teaching Jordan the meaning of team.